The current trend of identifying ‘micro-aggressions’ is not about social categories of exploitation or dominance. Nor is it just about personal touchiness or sensitivity. Instead, it is a prism through which social life and the world is experienced, as something set against and hostile towards the self. The right thing… The right thing… I became so aware at that moment of the left hand that I had thrust out before falling, and suddenly my humanity was reduced to my handydnyss. The words rang in my eardrums, and my blood throbbed. The satire captures the arbitrary nature of the categories being employed. Categories such as ‘WOC/cis-male-hetero’ are detached from social structure: they do not represent groups or their relations, any more than does left-handedness or snow. Some of these categories are taken from past relations of inequality, but they exist as utterly transformed (which is why they use different terms and are described in an often unrecognisable jargon). Instead, micro-aggressions represent the polarisation of everyday relations. The offer of a hand, or a consoling comment, is experienced as an act of hostility. In micro-aggressions, to be black, or female, or gay lacks much positive significance; there is little celebration of black or gay pride, or feminist sisterhood. The role of the category (of women, colour, handydnyss) is to give form to the feeling that social relations undo us, are aggressive. That others are set counter to us. A glance, a question, the direction of someone’s gaze is experienced as a devaluation or an aggression for the individual. One Latino student complains about the way another student ‘noticed my Frida Khalo lighter and was more concerned about her appearance than the actual painting on it’, which was representative of ‘white supremacy at work’ and the exclipse of Mexican art by Eurocentric art. Another student complains that cashiers are not sufficiently cheery with them, perceiving a greater cheeriness with white people before and after them in the queue. Often, the reality of the situation shines through: you can see the ‘aggressive’ person is just being curious, or making conversation, or making a guess, or a mistake. They ask why you don’t speak Spanish or whether you can read a Japanese character. They call you Jaime Garcia rather than Jaime Rodriguez. A person is offering you their hand and the gesture is transformed into an aggressive act, only because everyday sociality is experienced as a form of hostility. It is sometimes the case that genuine acts of racism and sexism get called microaggressions, but these are in the minority. The essence of the category (which is why it has a new name) is the individual experience of dissonance with the world. This is why many of the complaints are highly subjective: you can sense a person’s upset and anger, but you cannot understand what the problem was. Why is it a problem that someone said ‘you do not look like the type of person that is interested in watching sports’? Why is this an invalidation? The queer community on this campus can be so incredibly toxic & policing, especially for womxn of color. Identifying as queer is such a hard experience on this campus because of all the heavy internalizations of queerphobia, but not feeling able to sit fully and comfortably with my qwoc self in queer/qpoc spaces is the most painful. It is notable that the category of micro-aggression is authored by the victim. 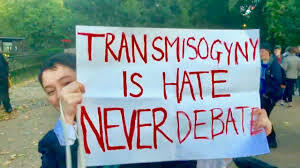 In effect, they are authoring the narrative of their own non-subjectivity, and the cis-hetero-male aggressor is constructed as a part in this narrative. The cis-man is holding his hands up, saying hey, I was only trying to help, I didn’t mean anything by it. This means that the category of microaggression doesn’t only express the individual experience of dissonance with the world; it also actively fosters it. Experiencing the world in this way means that someone becomes attached to their alienated condition. A person starts to cultivate dissonance, to almost to revel in their non-identity with the world. The self becomes attached to the experience of alienation; it creates itself as alienated. This new basis of identity is the reverse of the classical individual, who was based on the extent to which a person distinguished themselves. The personalities of ancient heroes were defined in the extent to which they left established boundaries, and went out seeking voyages, quests, ordeals. By contrast, the micro-aggressed self is defined in terms of what has been inflicted upon it. Therefore, they stake themselves upon their unfreedom, upon their object-character to the wills of others. Yet of course, this is not an individual at all, but the eclipse of individuality. The same act that estranges the individual from the social, also estranges a person from themselves, from their individual abilities and qualities. Someone becomes not Carol or Jane, a specific individual with a specific inner life, but a ‘qwoc self’, with the self as a composite of queer-woman-of-colour-etc etc. As the satire put it: ‘Suddenly my humanity was reduced to my handydnyss’. Such a person is, at base, uncomfortable – with others, with themselves. Therefore, the new phenomenon of micro-aggressions reflects neither exclusion nor oppression; nor is it merely the over-sensitivity of people who must be told to buck up. Instead, it reflects a new social structure; a new alienation in social relations, which is reaching into the most everyday encounters and people’s experience of their own personalities. The solution can only be in combating these structures, and posing against them the truth and innocence of the everyday encounter, the person who is just offering you a hand up or asking about you because they are curious. We must also affirm the individual who is comfortable with themselves, who is not a category but a person, and who is not glowering and counting offences but throwing themselves into the curiousities and delights of our varied social world.